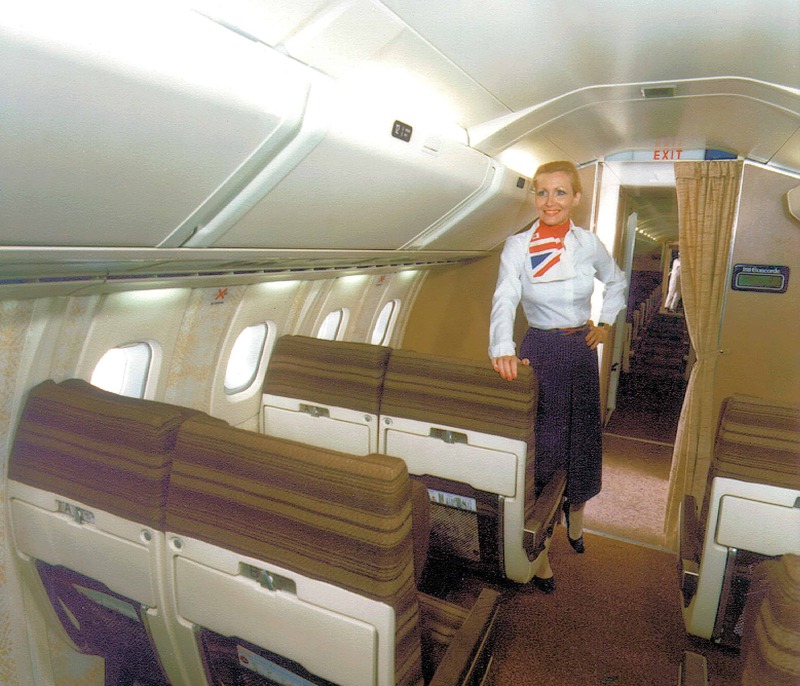 The first Concordes were delivered with a very traditional interior design, that was intended to reassure passengers using this supersonic aircraft. In fact, the passengers were disappointed to be offered an interior which did not reflect the futuristic external appearance of this unique aircraft. Consequently, British Airways commissioned a new design scheme, to be implemented without interruption to Concorde’s flying schedule. The scheme was designed for piece-by-piece introduction and as each new element was introduced, it had to fit in with any remaining parts of the old interior. The completed scheme, quieter than the traditional approach, echoed the look of smaller executive jets, with leather applied to bulkhead surfaces and with just one colour of fabric for the seats. To offset the relative narrowness of the seats, the fabric was horizontally striped and armrests upholstered with leather to match the bulkheads.